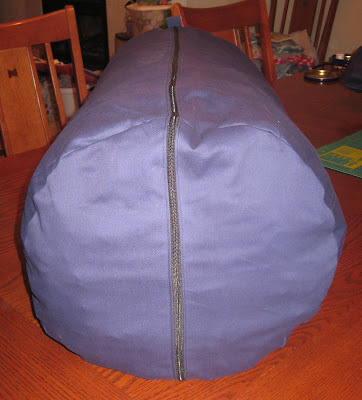 Why are tent bags always too small for the tents that come in them. The only time the tent fits in the original bag is when the tent is new and has never been out of the bag. It was time to move each tent into a new bigger bag, so each of our tents got the hand-me-down bag from it's bigger tent brother. A much better fit. Also, the hand-me-downs had to be repaired to be useable. 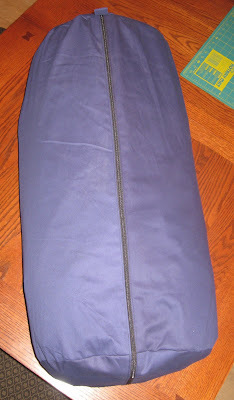 I worked on 3 different tent bags to get ready for our spring beach camping trip. This is the bag from our favorite tent. 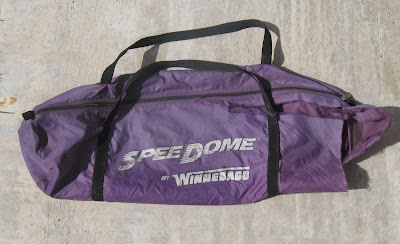 The "Speed Dome". It takes about 3 minutes to set it up which is the biggest reason that it is our favorite. The bag is very lame. The handles are sewn too far up, and too far apart, so when you carry the darn thing, it tears the bag. I repaired the biggest tear so it would be useable for this trip. I'm not sure if I want to repair the rest or just re-make it, since it is such a poor design. 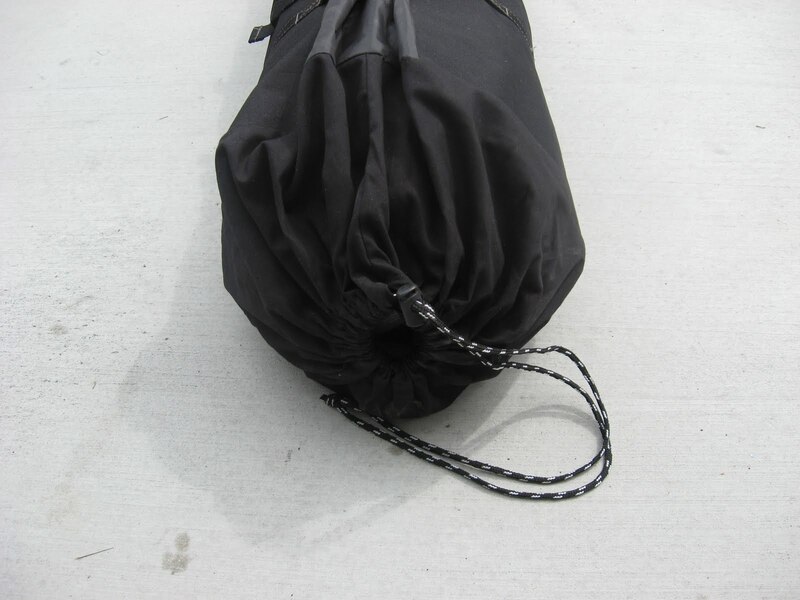 This is the draw string top to our largest tent, "The Condo". 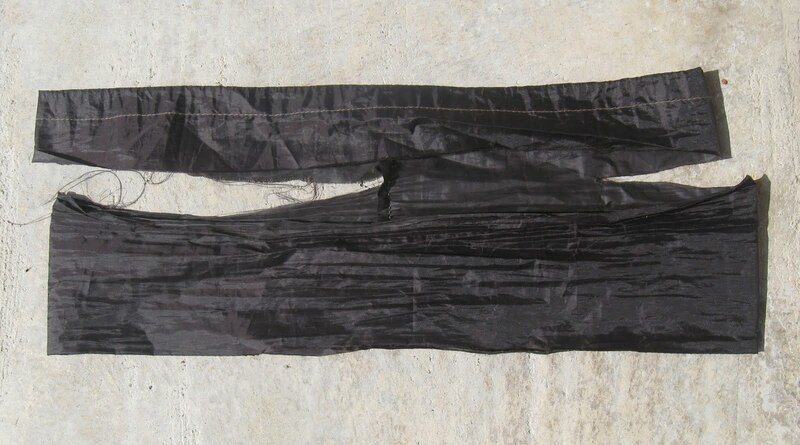 It's made out of flimsy nylon, and was torn easily. I re-made it using the left over black twill from Rebekah's project. Good as new, only stronger. I approve of this design. Much better than the last. Since all the tents handed down their bag to their smaller brother, our biggest tent was left with no bag at all. 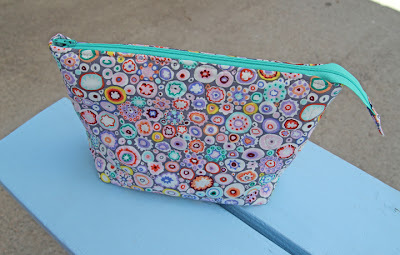 I made this duffle, copying a design from Ruth's princess tent duffle. 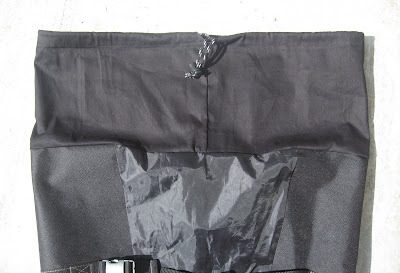 The zipper goes all the way across the top and down the side (with pull tabs on either end), so you can really get that giant tent in with no problems. I also attached the handles close enough together, and at a slant, so they won't tear the bag. Thank goodness I didn't have to repair any tent zippers this year. That is a dirty job, and a pain in the neck. We did have to get some new poles for the "Speed Dome", and Tentpole Technologies came through. Thanks to their speedy work, we were up and running in time. Those are great! You are such an inspiration!